Nipsey Plans To Repay His Most Dedicated Fans With Once In A Lifetime Experience. 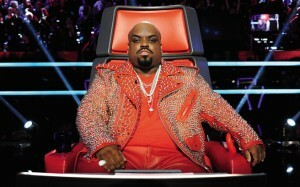 Cee Lo Green leaving The Voice indefinitely? After having spent four seasons serving as a coach on one of America’s most popular television singing competition series, The Voice, Cee Lo Green is officially ready to bid the show farewell. Having previously announced that he would be sitting out for the show’s sixth season, Green also revealed during an interview with Ellen DeGeneres that he will not be returning to the show at all. “I’m going to continue my relationship with NBC. I have a television show development deal with them as well. And hopefully, some other talk show opportunities for later in the year,” Green stated, according to NY Post. “But yeah, I’m going to miss ‘The Voice,’ too. I’m not coming back guys,” he added. Green went on to say that he did not want to wear out his welcome on the show, being that there are other opportunities he would like to venture out to take, such as getting to work on his first album in four years. The interview with Ellen DeGeneres is set to air this afternoon.